KUMAMOTO - A man who fanned a “lion scare” with false tweets following the deadly earthquakes that hit Kumamoto last April has managed to avoid indictment. The Kumamoto District Public Prosecutor’s Office said Wednesday the act of the 21-year-old man from Kanagawa Prefecture did not merit criminal charges and he has shown remorse for his tweets. 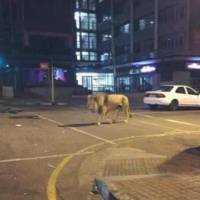 The man spread false tweets right after the first of several major quakes hit Kumamoto and its vicinity on April 14 last year, including one saying, “The earthquake has released a lion from the zoo — Kumamoto.” He also posted an image showing a lion walking on a street, which later turned out to be an unrelated image he had taken from the internet, according to police. 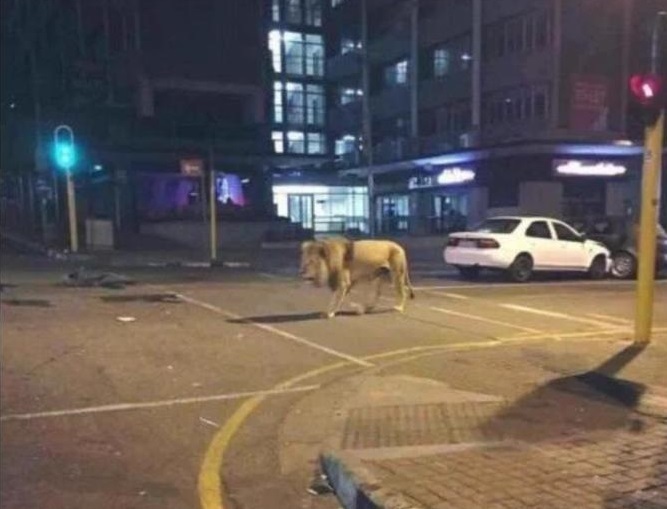 On April 14 and 15, Kumamoto City Zoological and Botanical Gardens received more than 100 inquiries about an escaped lion. The man was arrested three months later for allegedly obstructing the zoo’s operations.